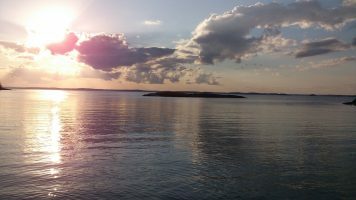 Going north, in mid-June, the sun doesn’t set at all. 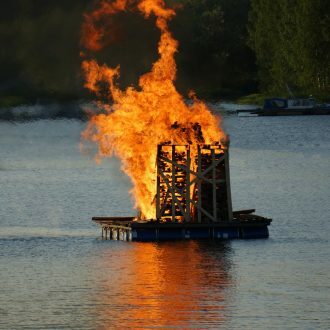 This is when friends and families come together in Sweden to celebrate Midsummer with pole dancing, bonfires, and a typical Swedish fish dish. 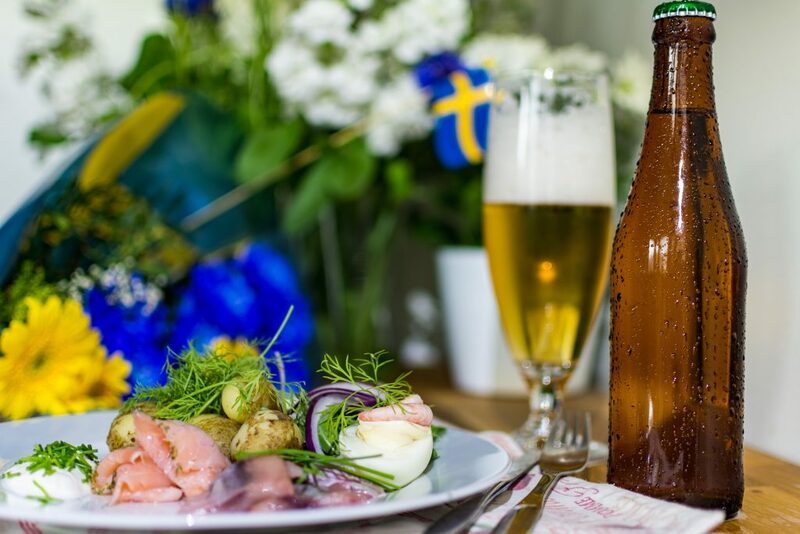 Make it at home with our easy midsummer recipe below. 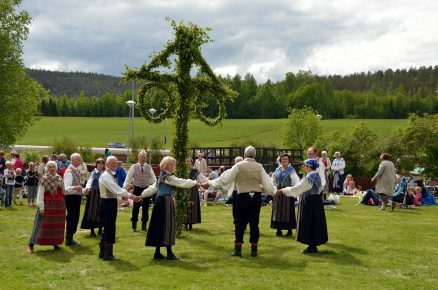 If you are new to these traditions, enjoy the funny midsummer video at the end of this post. 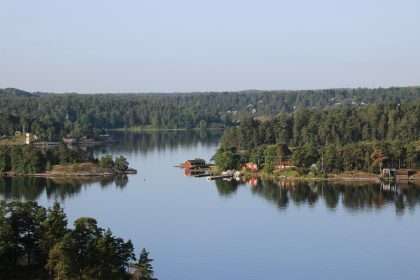 Everybody in Sweden leaves for the countryside to celebrate Midsummer. The celebrations start always on Friday. 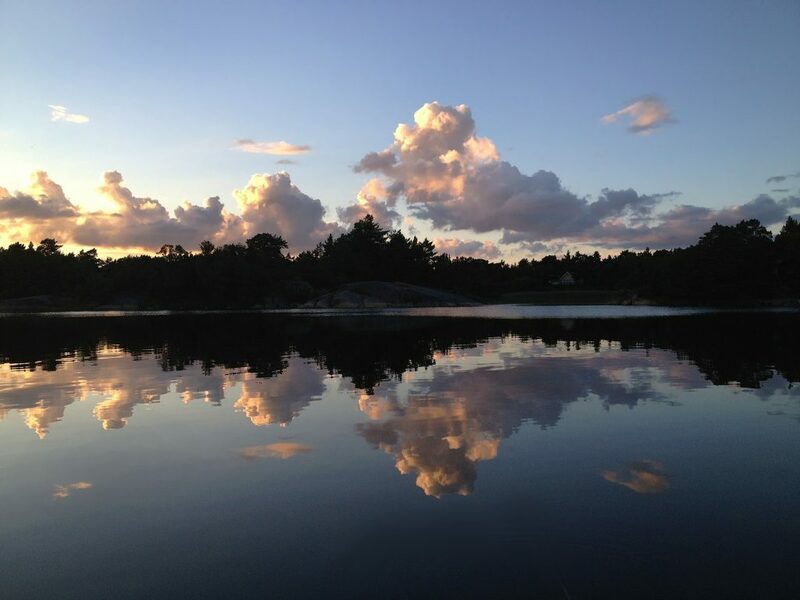 A popular destination is an archipelago close to Stockholm. 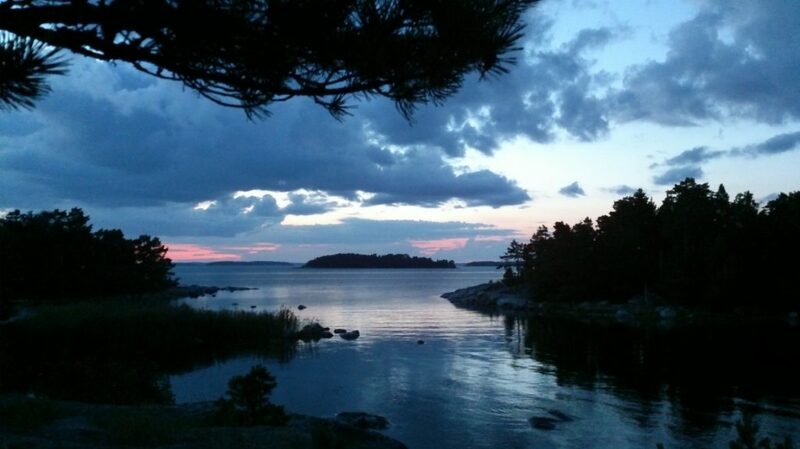 Do you plan a trip for Midsummer next year? 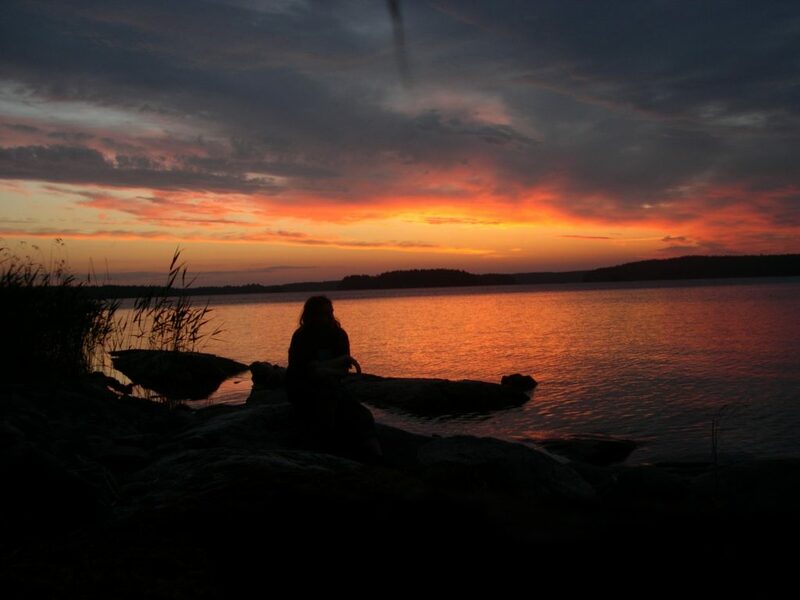 Check out this travel destination. 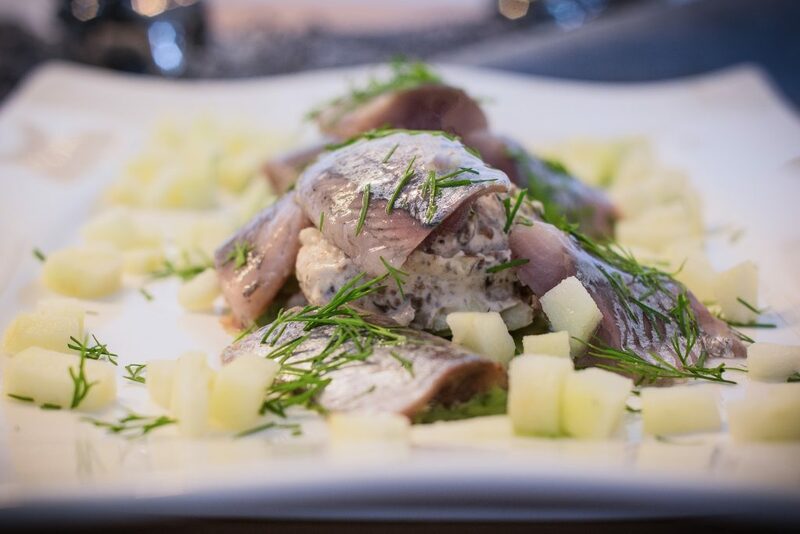 The traditional dish for Midsummer celebrations is pickled herring with new potatoes. You can make it easily at home with prepared pickled herring. 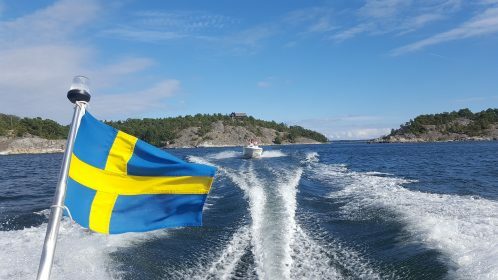 Do you have an Ikea store in your area? They have a variety of pickled herring. Serve it with new potatoes boiled in the skin, some butter, sliced onions, and fresh chopped dill and chives. Our tip: For dessert, serve fresh strawberries with freshly ground black pepper.